A classy way to make your rows nice and straight. Most people just eyeball their rows when they are planting. Or they have a piece of string on two pieces of sticks they found in the garden. If the row you're planting is pretty long and you want to make sure it's straight, our decorative row or line marker will make your job a little easier. 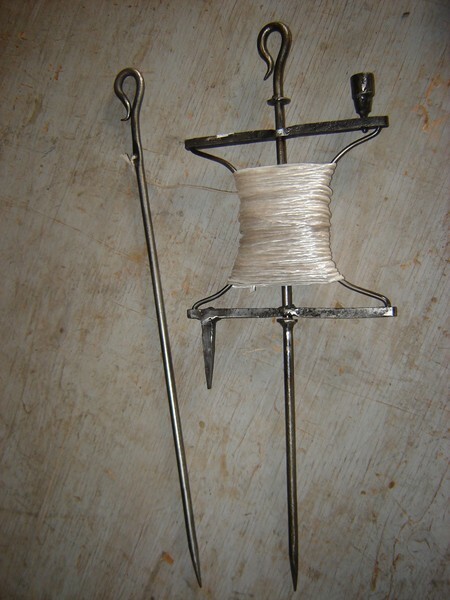 Just push the single rod into the ground and hold the end with all the string on it and just walk the length of the row you are making. The string will twirl and unwind as you walk down the row you are making. At the end of your row, push the end you are holding into the ground and plant your seeds or starts. When you are done planting, take the end of the row marker that holds the string out of the ground. Walk over about a foot, push it into the ground and then walk back to the other end and line up the row with that end. Continue doing this until all your rows are planted. Please allow 7-10 days.